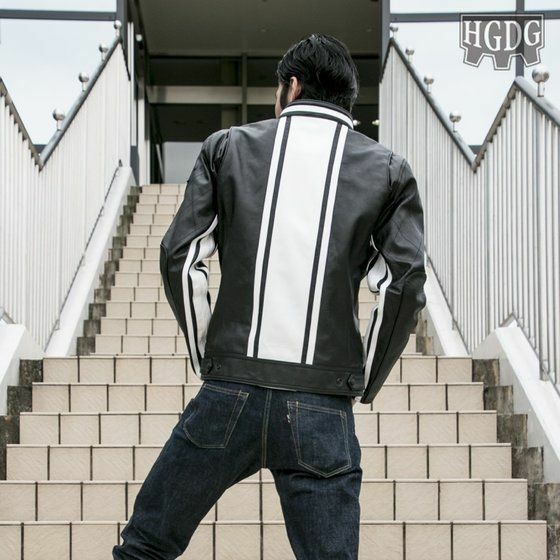 Kamenrider Ghost is a real fashionable dude! Gaim could transform into a giant watermelon! No longer, the new Kamen rider Ghost has a darker feel, not as dark as Black, but more like Decade, the kamen rider with his intense inner struggle. And while Ghost is still more aimed at the younger public than say Blade, in which people died by the dozens, it is still good fun to watch even for adults. 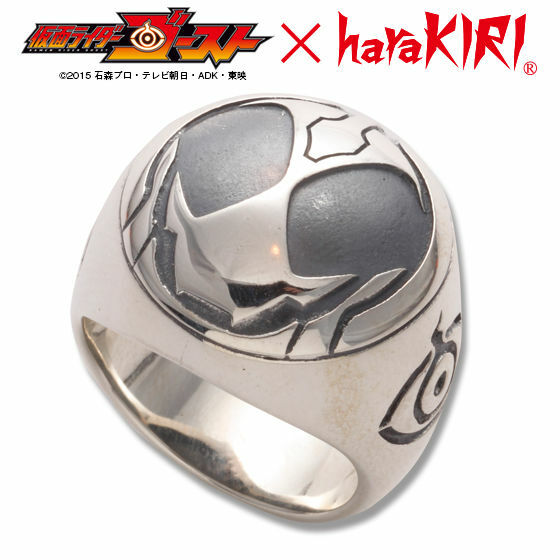 But a new Kamen rider means a new wave of merchandise, this time it’s not only for the kiddies. 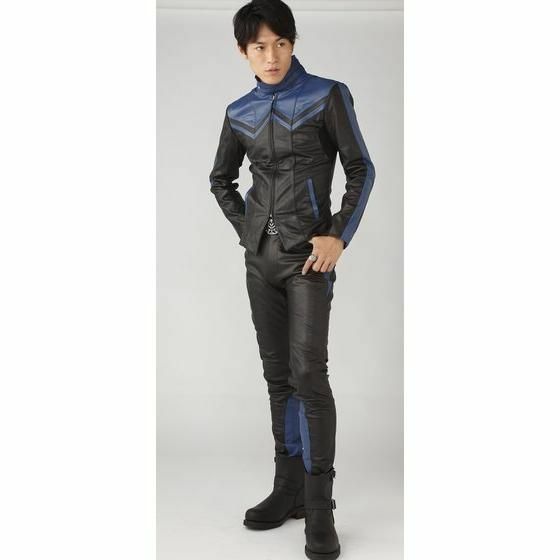 Yes this leather bike jacket hangs in my imaginary closet, meaning I ordered it.. pricey at 162,000 yen, but it’ll last forever! I just love that white stripe on the back, now all I need is a Ferrari with a similar stripe…or no stripe…beggars can’t be…. 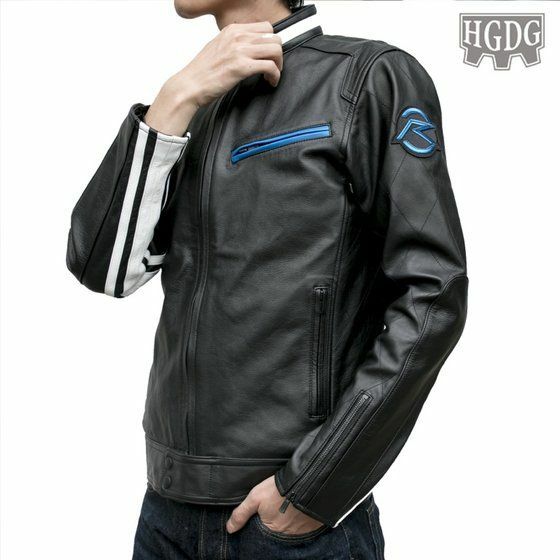 Now let’s see what Ghost has to offer..
Ah a leather jacket with matching leather pants, well I’d leave the pants and just go for the jacket…if hadn’t ordered the Drive Jacket, which I actually prefer, but is double the price.. 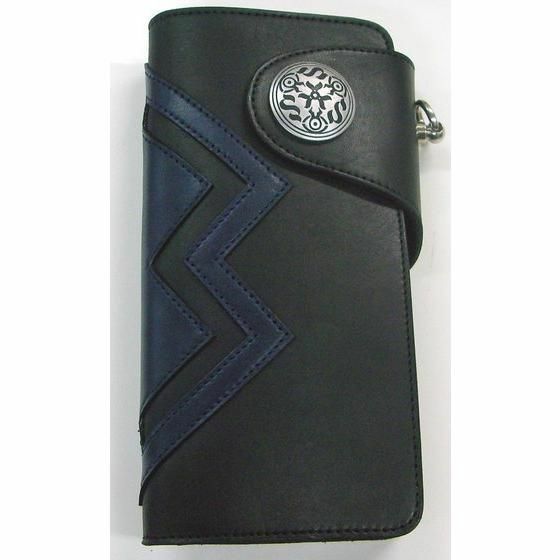 I really dig this Rider Ghost Spector leather wallet though. 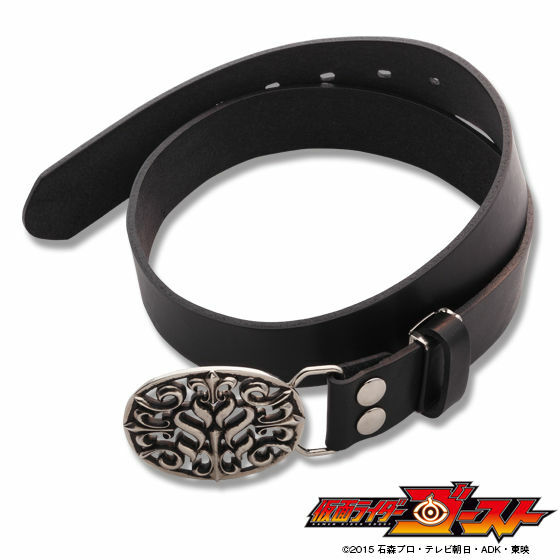 Or this leather belt….just lovely. What about some fancy accessories? These rings are big, like BIG! 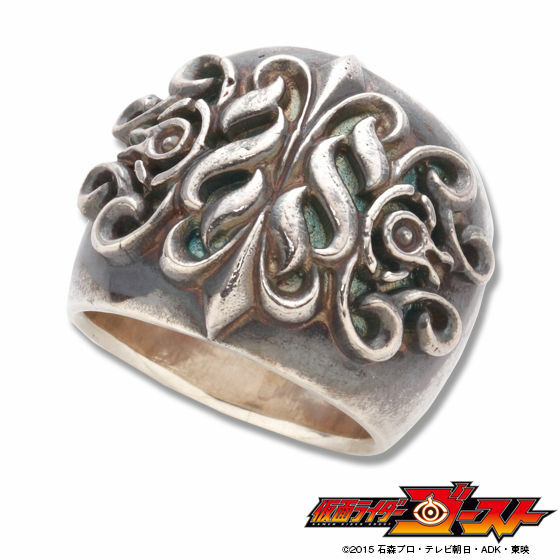 And what would Christmas be without….Kamenrider? If you’re not planning on visiting Japan any soon than you have to let the cake go..no matter how delicious it looks… all other stuff can be ordered through us and we give you all the points earned at Premium Bandai. Previous PostJapan’s elementary school backpacks grow up with new high-class randoseru for adultsNext PostTradition takes a back-step with this Kyoto based Kimono maker.